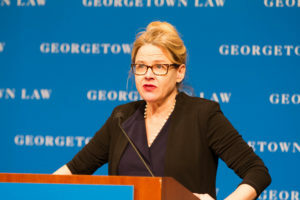 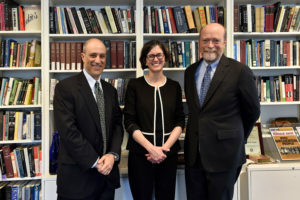 Professor Mary Sarah Bilder, one of the country’s most accomplished historians with expertise in legal and constitutional history, delivered the 2019 Thomas F. Ryan Lecture at Georgetown Law on March 6. 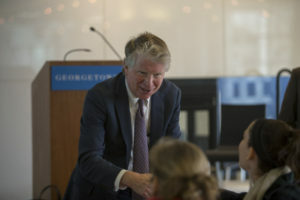 “Despite some heavy rhetoric these days, the U.S. and the E.U. 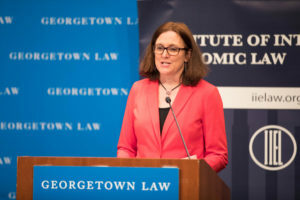 remain firm allies and friends,” said European Union Trade Commissioner Cecelia Malmström, speaking at Georgetown Law’s 40th Annual International Trade Update on March 7 to 8. 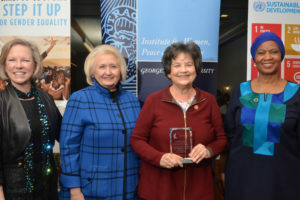 Since she was elected to Congress in 2013, Rep. Lois Frankel (D-Fla.)(L’73) has successfully advanced progress for women and girls — in the United States and around the world. 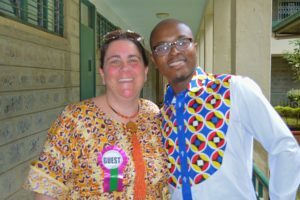 “Our topic today is something that we normally take for granted. 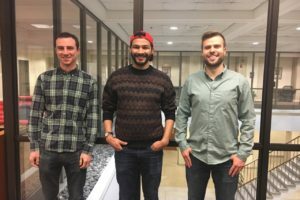 It’s something we ought to be able to take for granted. 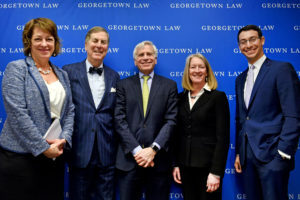 It’s something, sadly, that we need to start talking about and thinking about a lot more these days,” said George T. Conway III of Wachtell, Lipton, Rosen & Katz.